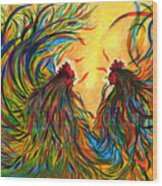 Roosters Frienship is a mixed media by Fanny Diaz which was uploaded on January 12th, 2010. 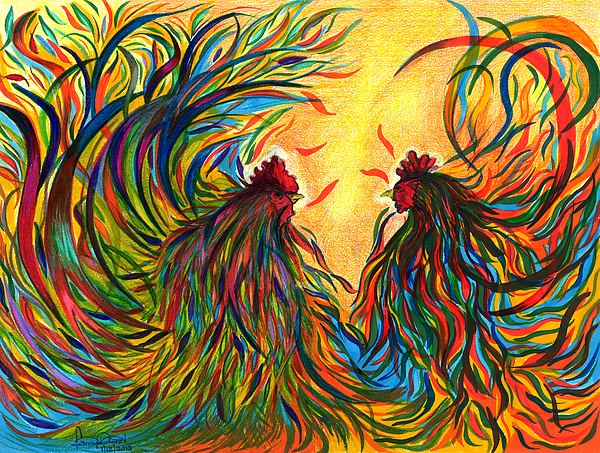 The Intention with this artwork is to create contrasts comparing to the Rooster fights. As a Nature lover, I found a very special connection and admirations for feathers in general, what it make me always unconditionally whiling to express through my art, the way I see them in different aspect, actions and situations. 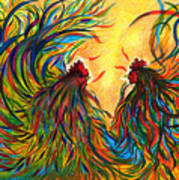 You can see on my portfolio many of my paintings a proof of it. Very nice artwork! Congratulations on your sale! Love it... Congratulations on your sale! Congrats on your sale Fanny!! I love this, I was raised on a farm and use to watch the roosters fight all the time. This is a wonderful piece. WHAT A GREAT FANTASTIC PAINTING !!! I REALLY LIKE IT !!! Great job my dear!love it especially this one!all the best! Ah, an explotion of colors Fanny! Beautiful! Baar, thank you so much! Wow, Fanny, this is really good! 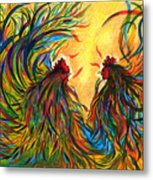 Love your use of color here, with the golden background behind the multi colored feathers. Great! -- Joe. Thank you so much Joe, hope you doing great!